This two-day intensive is designed for people with little documentary experience who are interested in using photography and audio to tell the story of a person with a serious medical condition. Students will see examples of relevant work, learn the fundamentals of capturing good quality sound and images, discuss the ethics and constraints of documenting patient stories, and produce a short multimedia portrait. The workshop will be a mix of informational lectures led by Dr. John Moses and Liisa Ogburn with hands-on production work completed in pairs. Students will conduct audio interviews, shoot photographs and edit short multimedia portraits of one another. Breakfast and lunch for both days are included in the fee. Students are responsible for dinner, housing, and transportation. Students should bring their own camera. We will provide audio recorders. Starts Monday, 8 a.m., October 15 and goes until 6 pm both Monday and Tuesday. Concludes Tuesday at 6 p.m.
John Moses, M.D., is a primary care pediatrician and photographer based at Duke University. Over the last twenty years, Moses has worked on a number of projects at the intersection of documentary and medicine, and has used this material to teach at the undergraduate, medical student, and medical residency levels. In addition to maintaining a busy clinical practice, he teaches photography at CDS and helps direct the Duke Innovation Program, in which he mentors medical residents producing photographic documentary work. 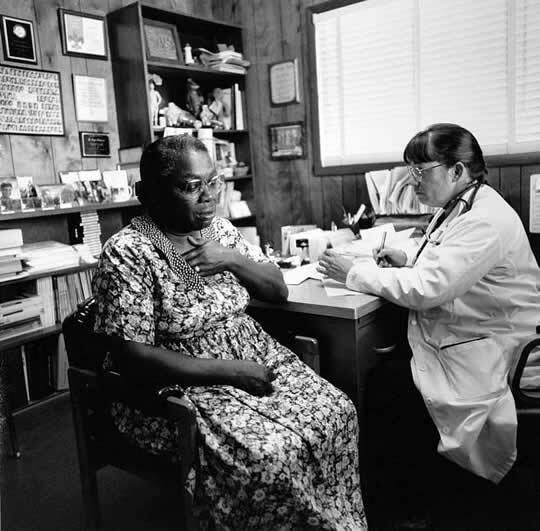 Liisa Ogburn currently teaches documentary to medical residents through the Documenting Medicine program that she founded with Dr. John Moses at Duke in 2011. She has taught documentary at CDS for the last five years and was recognized in 2011 by the Dean for teaching excellence. She helped found 415, a multimedia firm in San Francisco, where she worked with such clients as the Library of Congress and the San Francisco Symphony. While there, she began producing her first documentary work, with photography and audio. Elena Rue is a multimedia storyteller who uses the camera as a tool for exploration and learning. As a 2006 Lewis Hine Fellow she worked in Ethiopia with the NGO Hope for Children and then worked for three years as coordinator of CDS’s Literacy Through Photography program. She is a 2011 graduate of the master’s program at the UNC’s School of Journalism and Mass Communication where she was a 2010 Carnegie-Knight News21 Fellow and a 2010–11 Reese Felts Digital Newsroom Fellow. She is currently a freelance multimedia producer and director of the Lewis Hine Fellowship program at CDS.